Before you talk to an estate appraiser . . .
1. your reason for an appraisal. Do you want to sell the item? To insure the item? To donate the item? These require different types of appraisals and will usually produce different values. 2. any information you have about the item: its description, measurements, artist/craftsman, age, when and where purchased, and for how much. You probably won’t have all that information, but every bit helps. 3. a photograph of the item and any identifying marks. Why are estate appraisers better than auctioneers? 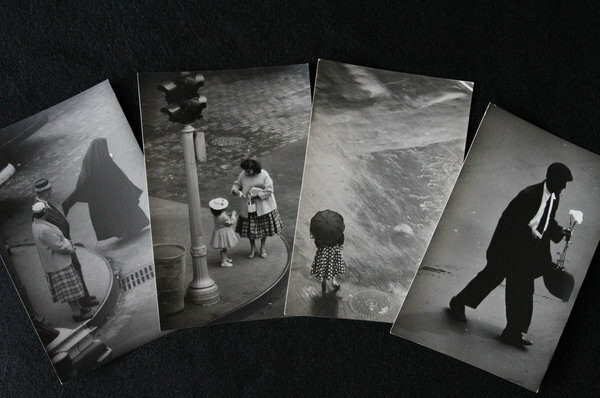 They are usually more knowledgeable about the value of objects, especially antique objects. Some appraisers are also auctioneers; other appraisers work with specific auctioneers. Got Stuff? Should you deal with estate appraisers? There are two types of appraisers: real estate and personal property. You might need both if you have a house to sell as well a houseful of Stuff. Look in the Yellow Pages under “Estates” or search the Internet, but try to get personal recommendations, admittedly difficult if you are from out of town. The funeral director or an upscale antique store should have a good recommendation or two. Check with the Better Business Bureau to make sure the name isn’t toxic. Personal property appraisers are not required to have any particular qualifications or education levels to conduct business, so you need to be careful about hiring “just anybody.” Some are nothing but auctioneers who hold up an item without knowing or caring what it is, as long as it sells fast. Ask if they specialize. Many reputable appraisers specialize in a particular area, say dolls or jewelry, and may be ill-equipped to recognize the pair of eighteenth-century Hogarth prints on the wall. One indication of knowledge and integrity is the appraiser’s professional status. Ask if he or she is a member of the American Society of Appraisers or the Appraisers Association of America, or if he has the letters GPPA after his name (Graduate Personal Property Appraiser). Ask what their specialty is. Membership in these associations mean that the person has been in business several years, has taken a professional appraisals course, has learned how to write appraisals correctly, and has studied the ethics involved. You can use www.appraisers.org or www.appraisersassoc.org to find appraisers who are members of these two groups and search for those who specialize in either gems and jewelry or personal property. That said, there are exemplary appraisers who are not accredited, and I would not disqualify someone who was not accredited if they had solid recommendations. Contact a reputable auction house and ask for recommendations for the sort of appraisers you need. People who appraise your Stuff should not buy it. That’s a clear conflict of interest. The estate appraiser/auctioneer holds regular public auctions or on-site estate sales and will sell your Stuff for the highest price possible. He’ll take a commission, as little as 10% if you have several items that he knows he can flip quickly to a particular customer, or as much as 60% if you have consigned boxes of miscellaneous tools and junk that will take time and sell for only a dollar a piece. The percentage is negotiable and depends on things like how far a distance he has to haul your Stuff. 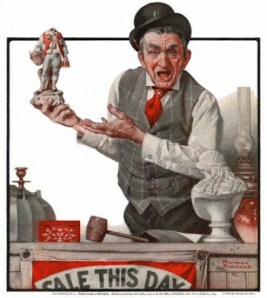 The auctioneer also makes money on the other end, in the form of a “buyer’s premium” that amounts to 10-15% of the bid. He gets that money from the buyer. Some appraisers will hold an on-site sale or auction if your location is convenient to a large customer base. Stuff often sells better in a residential setting. 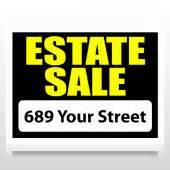 This is called an estate sale or tag sale and usually lasts a couple days. Everything is pre-priced, and the prices usually fall the second day. They’ll sell what they can to the public and haul the rest away. The tag sale will take several weeks to prepare: every item needs to be examined, priced, and carried into view, and the event needs to be advertised, but the heirs do not have to be present. In fact, it’s best if they are not, unless they are genuine customers intending to buy. 1. 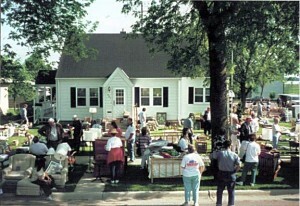 An estate sale on the site. If the location is convenient to lots of people and the estate includes some high quality Stuff worth a total of at least $10,000, this will probably be the way to go. Nice antiques, art, rugs, and handcrafts tend to sell better in the home than in a store. 2. If there are just a few exceptional items, they could move those to an antique shop or art gallery and sell on consignment. This takes time—many things will not sell for months, maybe years, but if you’re in no hurry for the money, it could work best. A typical cut for the store would be around 40-50%. 3. They might buy the contents of the house outright. Then you’re done with it. This means less money for you, but it’s over. Whew!! 4. Another option is an online estate auction where every item is tagged with a number and the house is open for a day or two for preview only. 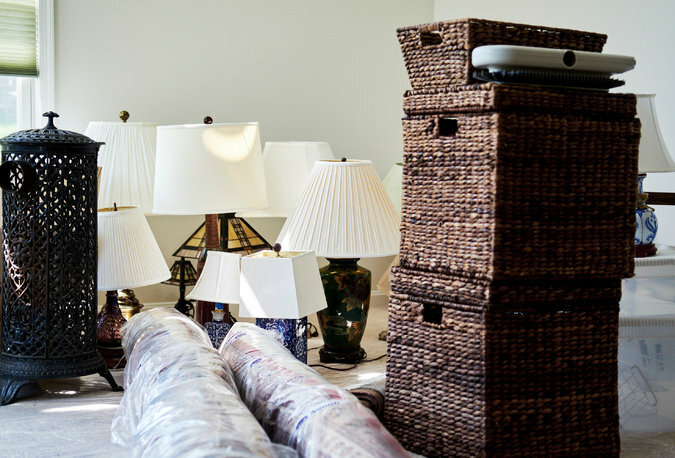 This is an inspection time where individuals and antiques dealers can breeze in, pen and paper in hand, and take note of any items they want to bid on. They go home, log onto the auctioneer’s website where every item is listed beside its picture, and bid for the things they want. After a few days, the top bidders are notified to pick up their property. 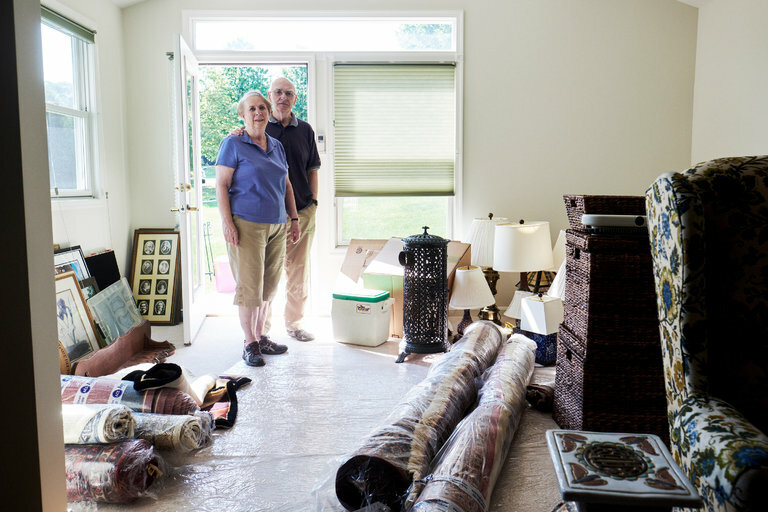 No one knows everything, and a good estate appraiser will have contacts with experts in many fields that she can call on for help when the estate contains Stuff like oriental rugs or antique silver or hand-carved decoys or leather-bound first editions. This ensures you get the most money for your Stuff. And since the appraiser is getting a percentage, it is to her advantage to get you the highest price. Most auctions are “open” which means the items are going to be sold for whatever they bring. No “reserves.” A reserve is the floor below which the item will not sell. (As in, “I want to sell this table but not for less than $200.” In that case, $200 is the reserve.) In an estate sale, every single item is priced. Prices may be negotiable but not usually on the first day. Today is National Prescription Drug Take-Back Day, which aims to provide a safe and convenient way to dispose of unwanted prescription drugs–you know, like the ones in the bathroom cabinet and on the bedroom nightstand. These can be devilishly hard to get rid of properly. Prescription drugs and over-the-counter drugs–even if unopened–can’t be returned or donated in most states. And the absolute worst thing you can do is flush them down the toilet or sink, which lets them into the water supply where they aren’t filtered out. So, you’ve inherited a whole bunch of medicines–what next? Find a location near you that will take them back and destroy them responsibly by visiting www.deadiversion.usdoj.gov or call 1-800-882-9539. If you miss today’s event, don’t despair. Many of these sites take back drugs all year round, and besides, the DEA sponsors this event every six months.